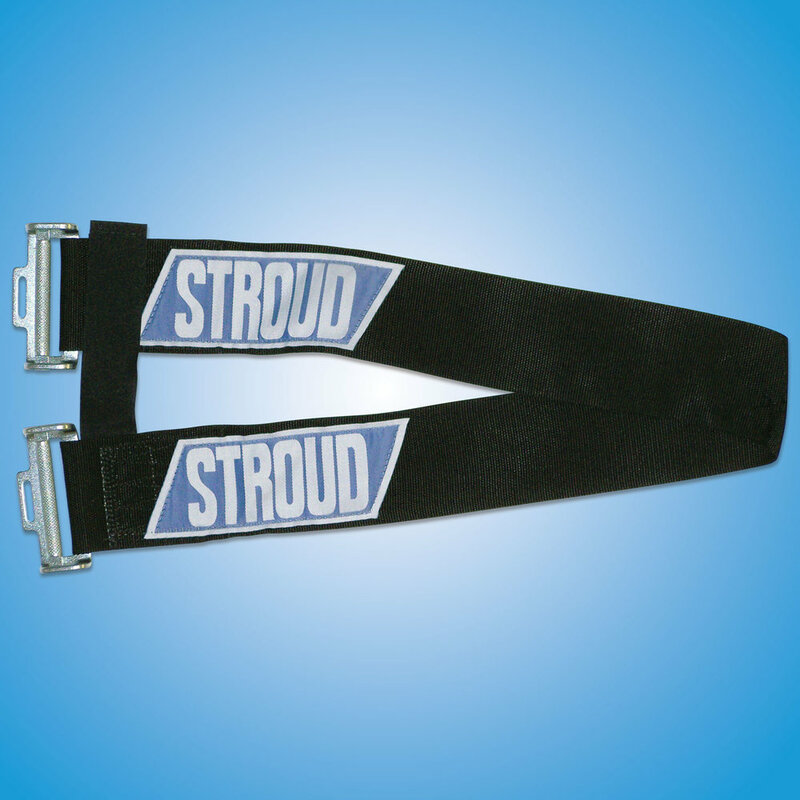 Stroud Safety seat belts are made in the USA and are SFI approved. We re-certify all our restraints regardless of age. This saves you money by not replacing your belts every 2 years. 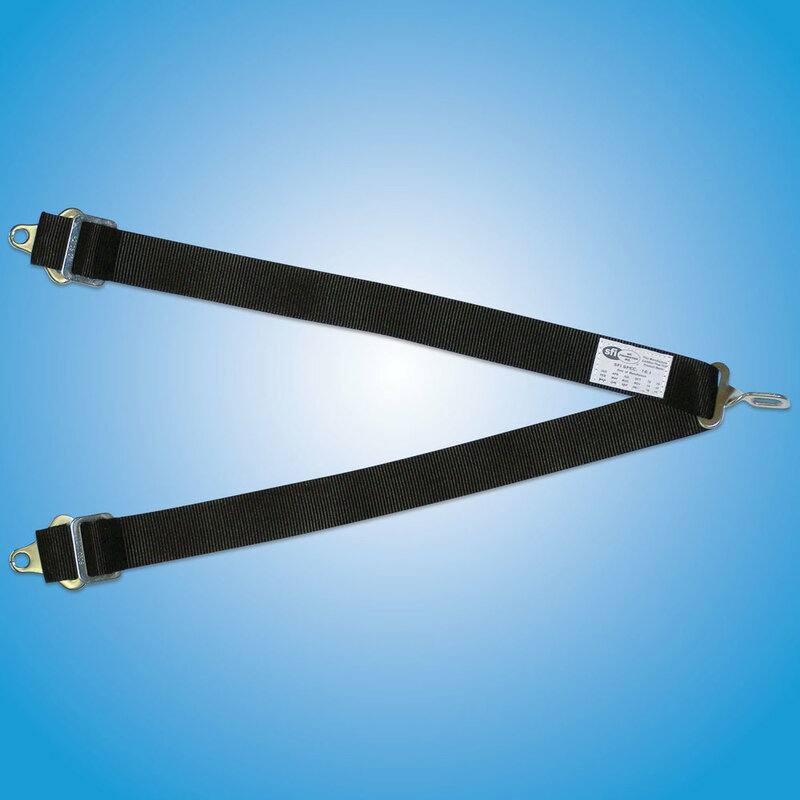 Our restraints are designed by engineers and are constantly improved to make them safer and easier to use. Available in 5, 6, 7, and 9 point styles. Customize Your Look at no additional charge! ALL of our colors available for the same price. Call for special pricing on custom embroidery. 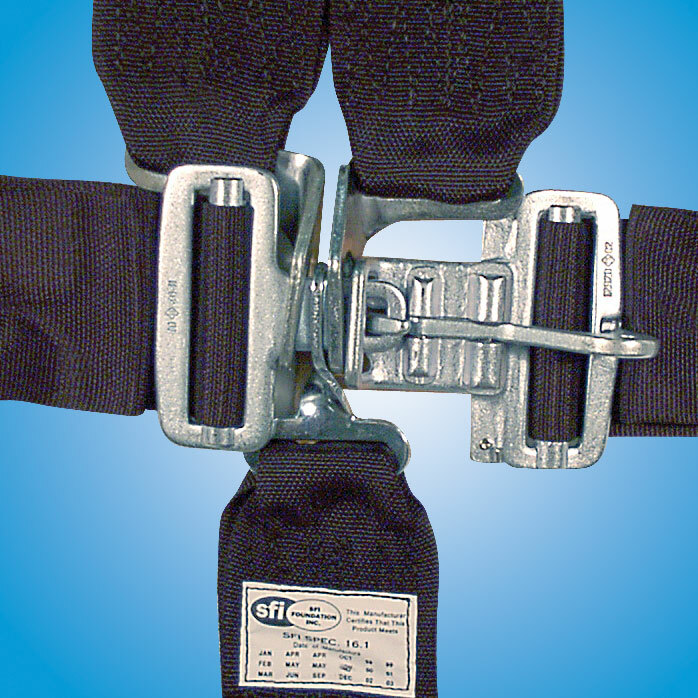 ALL SFI restraints must be recertified every 2 years! We re-certify all Stroud Safety products. 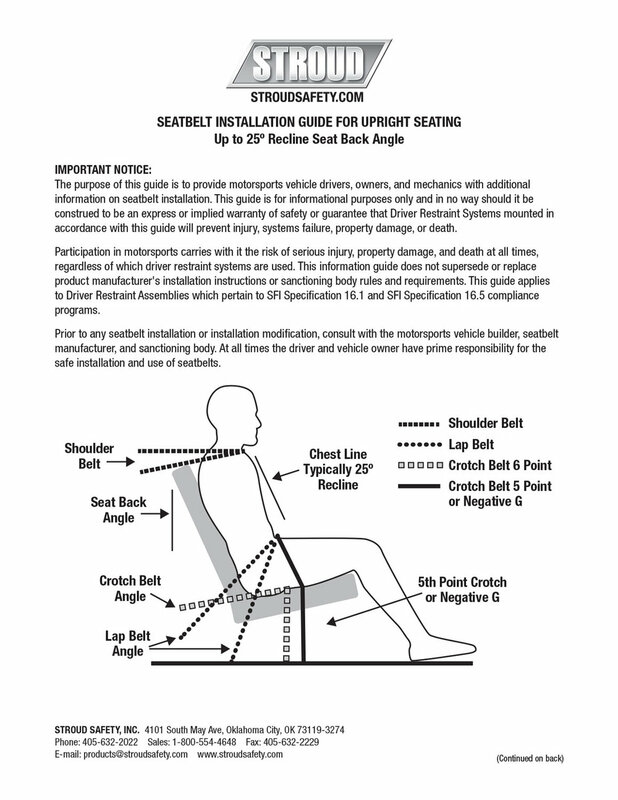 Download seat belt installation guide (PDF). Easy to use rotary kam. Either hand releases in either direction. 5 point crotch strap, 3 inch. 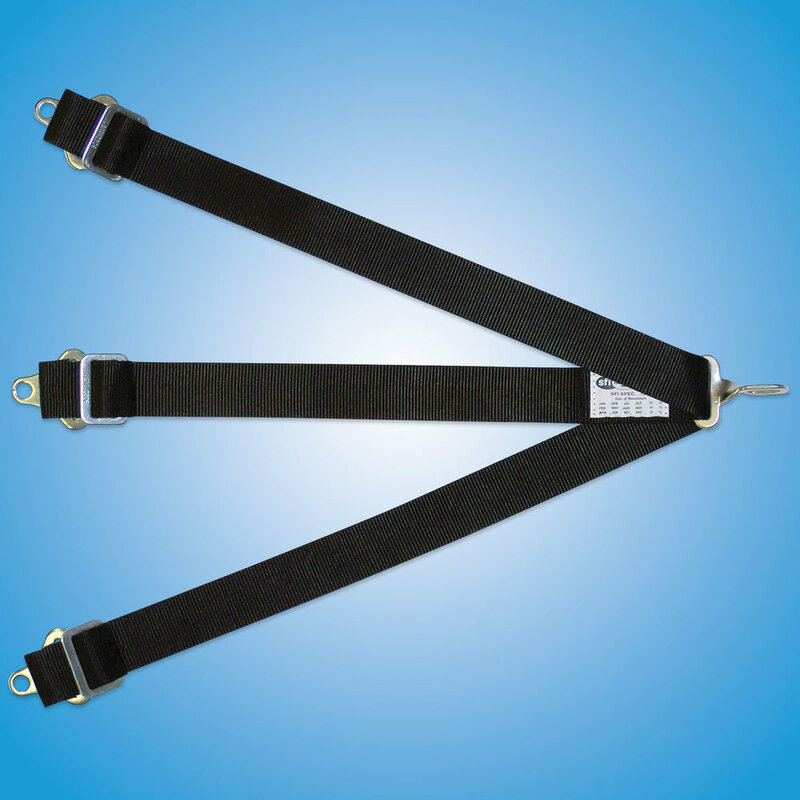 6 point crotch strap, single attach point. Submarine belt, 7 point, single attach point. Tired of getting rubbed raw from your belts? 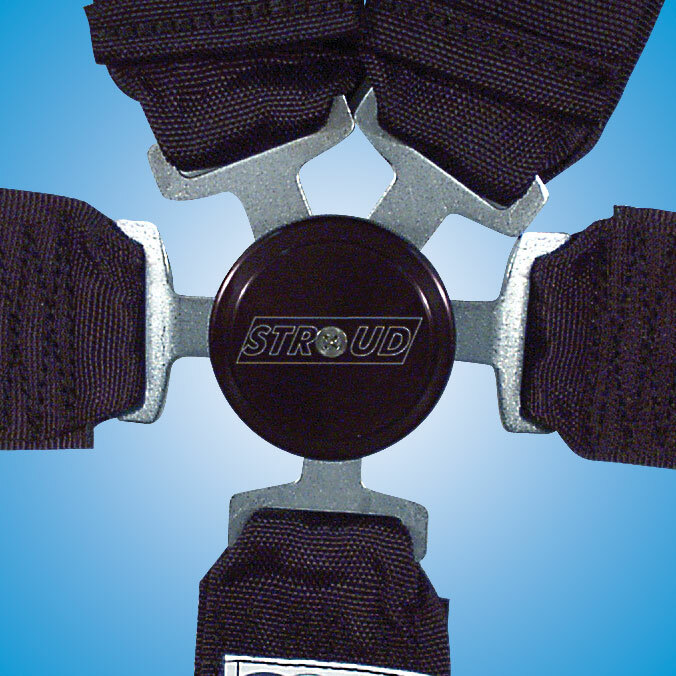 Use a set of Stroud Shoulder Pads. Easy to remove for cleaning. 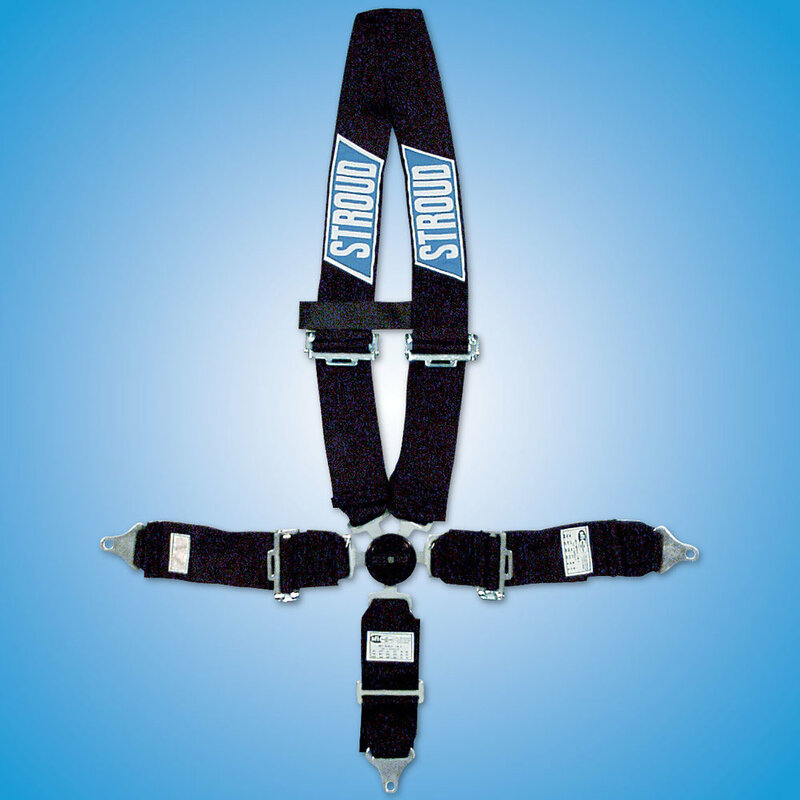 SFI approved with 2 inch wide arm bands with 1 inch wide adjustable restrainer straps. Mounting hardware for all seat belt systems. End fittings for all seat belt systems. 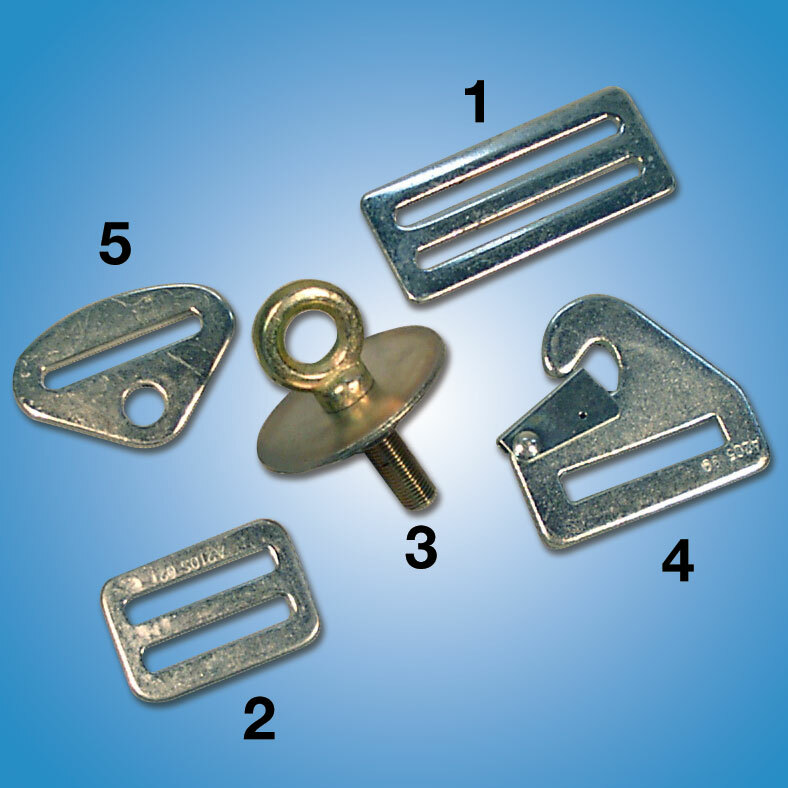 Various types of mounting available at no additional cost. Designed to keep doors from being slammed against their tops when the wind catches them. Easy to attach and remove.